Chris Williamson has denied he was forced to quit Labour’s frontbench over his controversial plan to raise council tax for the rich and vowed to continue make the case for a shake-up of the levy. The Corbynista MP, who has stepped down as shadow fire minister, today uses a LabourList article to set out why he will campaign for local referenda on raising council tax. 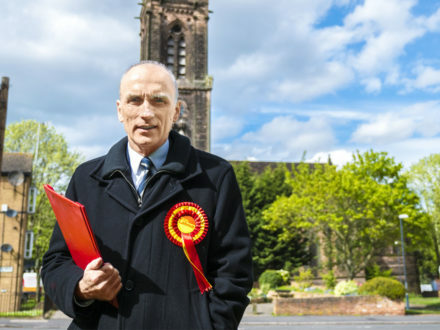 Williamson, who reclaimed his old Derby North seat at the general election, resigned suddenly yesterday shortly after he called for a doubling of council tax bills on the highest-value homes in England. His comment prompted attacks from Tories with the new housing minister Dominic Raab saying: “This latest plan would see people’s bills soar by 20 per cent and add at least £320 a year to the average council tax bill”. Now Williamson has said he wants the freedom to “feed the fire which keeps the establishment on their toes”. “Although my idea for a progressive council tax referendum wasn’t the cause of my departure, it was one idea I wanted to champion from the back benches. So, on day one of my new job here it is,” he writes. Williamson says his plan to raise bills for people in band H homes would allow local authorities to provide a “full discount” to people living in properties banded A to C and then reductions on a sliding scale for those in homes in categorised as D to G.
Williamson has been an outspoken shadow minister since he overturned a Tory majority of 41 and returned to the Commons in June last year. As shadow fire minister he led Labour’s response to the Grenfell Tower disaster as well as fire service cuts.